Cinnamon Starlites Individually Wrapped 8 lb. What's a good way to make sure that customers leave with a favorable impression and sense of appreciation for your place of business? 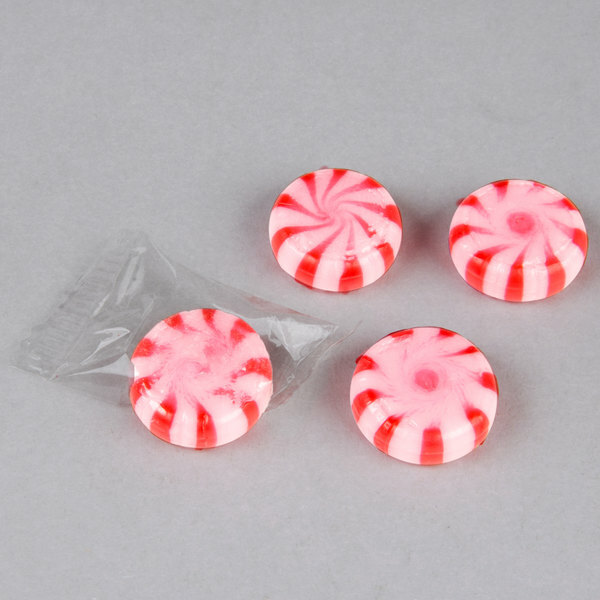 Hospitality mints are a great way to say "Thank You" to your customers for their patronage. They make the perfect ending to any meal and will leave your customers feeling refreshed and satisfied. 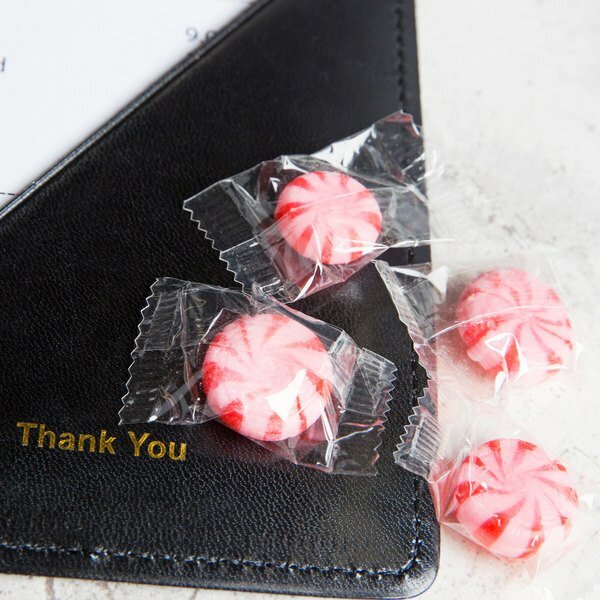 Just drop them off with the check or leave them near your door or cash register, and guests can grab one to go as they leave your restaurant or cafe. They're also a favorite at catered events! These cinnamon starlites feature just the right blend of hot cinnamon and cool mint flavors with a classic red and white swirled appearance. Since they're individually-wrapped, they offer a clean and sanitary appearance that all of your patrons are sure to appreciate. Not only do these mints enhance customer service perception, but they are deliciously cool with a hint of cinnamon spice! They are sold in an 8 lb. container with approximately 1000 pieces per container. Packed with minty, sweet flavor, these breath-freshening mints satisfy customers with their crisp texture and exceptional quality. Increase the likelihood that your customers will visit your establishment again soon, and offer these smooth, irresistible cinnamon starlites! Overall User Rating: Cinnamon Starlites Individually Wrapped 8 lb. Top quality cinnamon starlites that are individually wrapped and really taste good. A nice way to freshen up your breath with a nice spicy cinnamon flavor. These cinnamon starlites are a bit smaller than other starlites I've seen, but have a great taste and are a perfect after-meal mint! 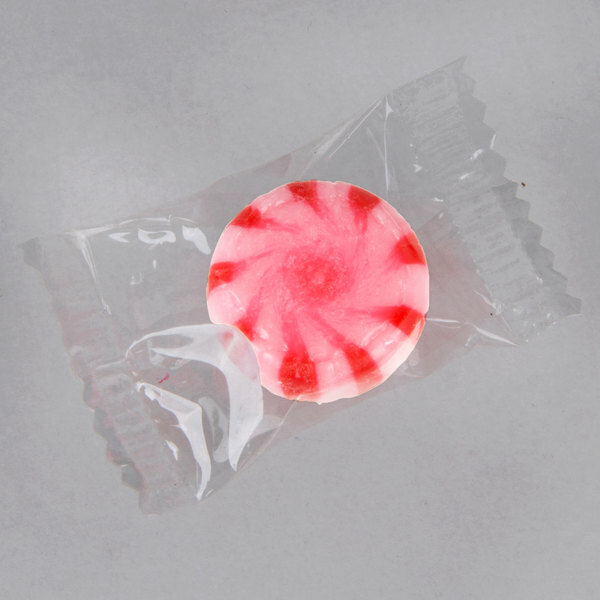 The "Thanks a mint" wrapper is also easy to open. My employees keep trying to get me to switch from these to the buttermints but I have always loved these mints. They are simple and go perfectly after a nice meal.